For the last term, I’ve been lucky enough to work with ten talented young writers and illustrators from the Northern NSW community. 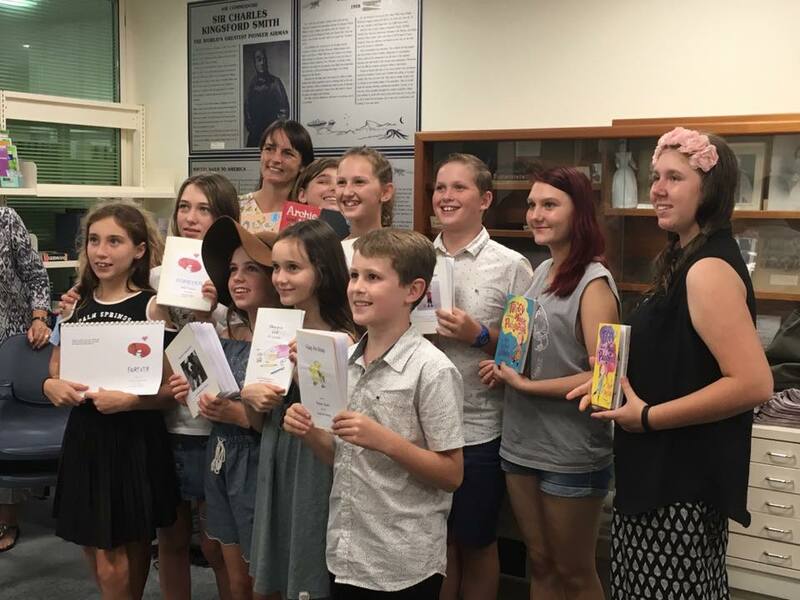 Kids aged 10-16 gathered fortnightly at Ballina Library, for free StoryBoard sessions, provided by Byron Writers Festival. The goal was for each person to write, illustrate and publish their own 32 page picture book. Each person’s idea was highly original. They worked up their story over several weeks, and collaborated to illustrate their book. We launched the books at the Ballina Library Wednesday 4 April 2018, to a crowd of supportive family and friends. Such a talented and inspiring group! This is what happens when kids get together to do something they are passionate about!